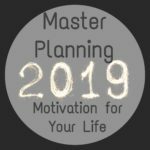 Over the years I have learned little tips and treasures that have helped me cook, clean and keep my house in order. 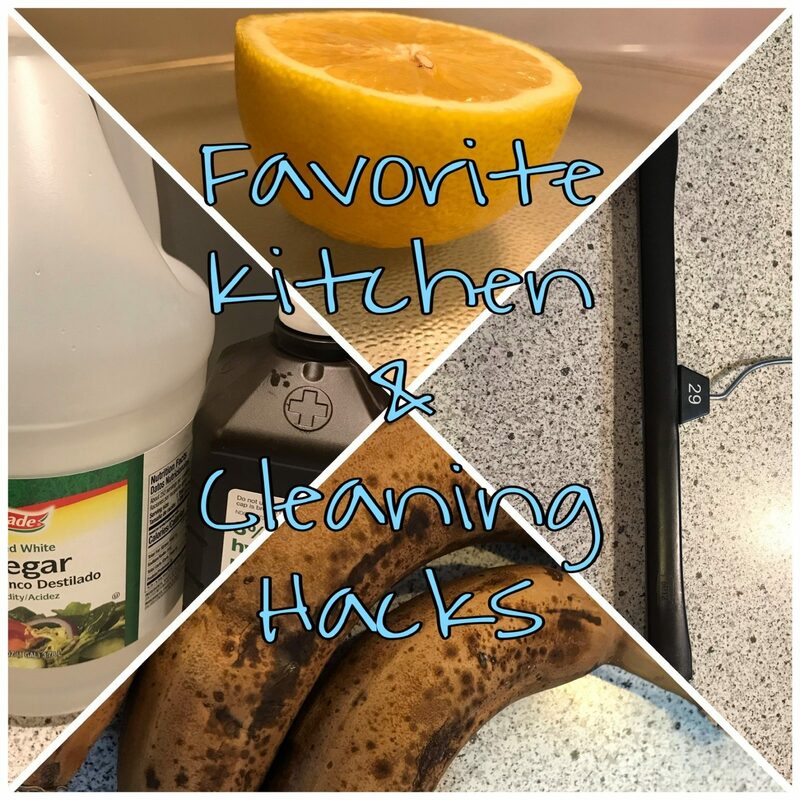 Here are my favorite kitchen and cleaning hacks you will want to incorporate in your daily life. 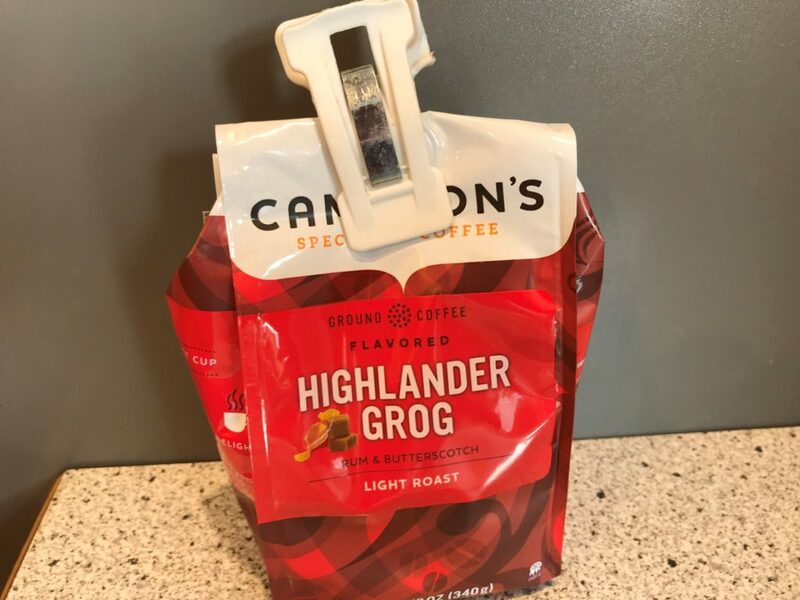 Cut off the clip part of a pants hanger from the store and use as a clip for chips, coffee, vegetables, or any open bag. 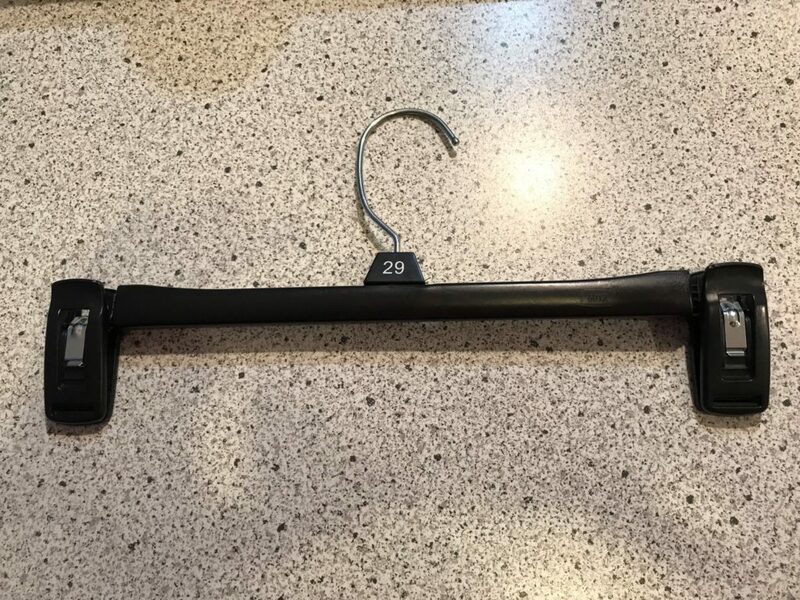 These clips are always in use and I often wonder where they are. Many are on opened bags in the freezer or in my cupboard. 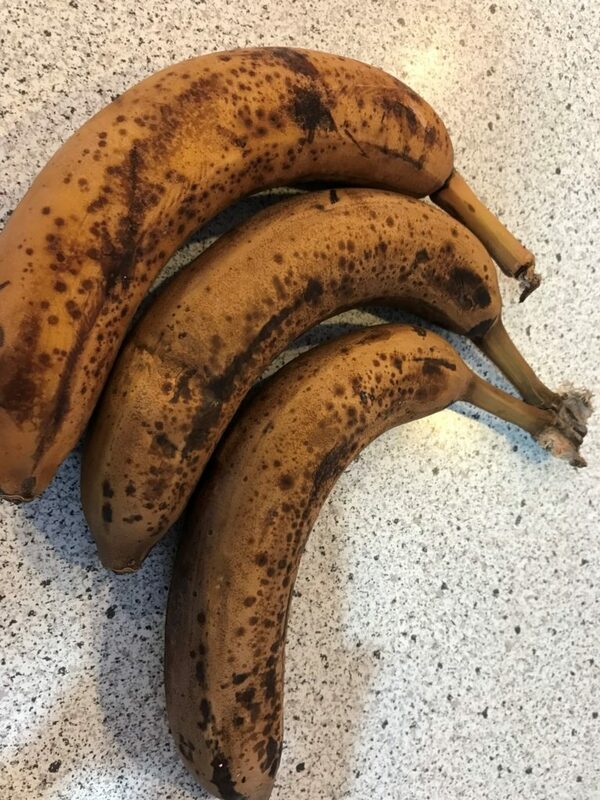 Bananas- When your bananas are turning brown or not suitable for eating, throw them in the freezer with the peel on and use later. 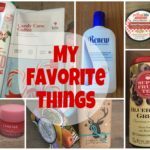 I use them in banana bread, smoothies or in pancakes. I microwave for one minute to defrost and get the banana part out of the skin. If that bugs you, take them out of the skin and put the banana in the Ziplock and then freeze. 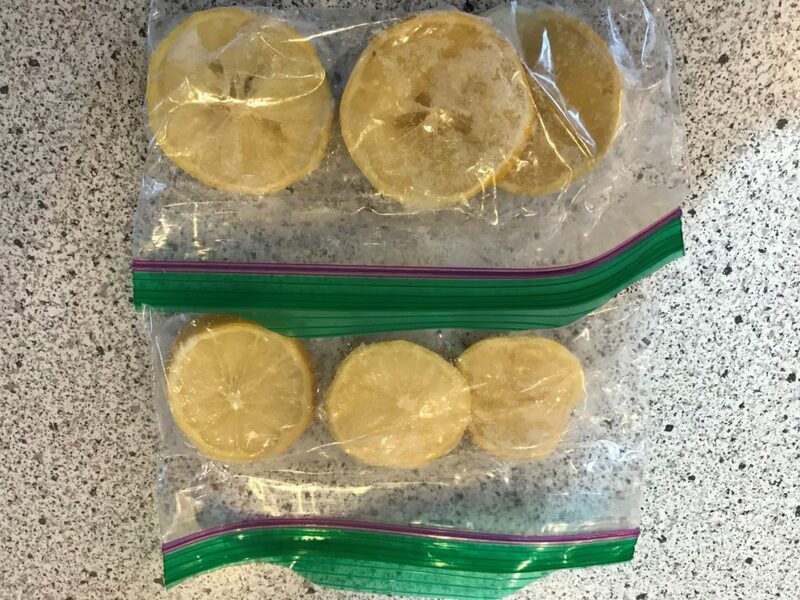 Lemons- cut lemons up in slices and freeze. Use in water or in individual drinks and in cleaning as discussed below. 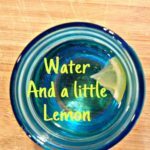 See Blog on Water and a little Lemon. Spinach- if your spinach is going to expire soon, put the bag in the freezer or divide in smaller bags and freeze. Use in soup, eggs, smoothies or use in pasta dishes. Onions- when I only use a half an onion, I cut up the whole onion and freeze the other half in a small Ziplock or container. The next time I make soup or a cooked dish with an onion I use this one. Peppers- Buy of pack of 3 peppers. 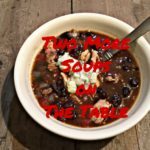 The recipe only calls for one. 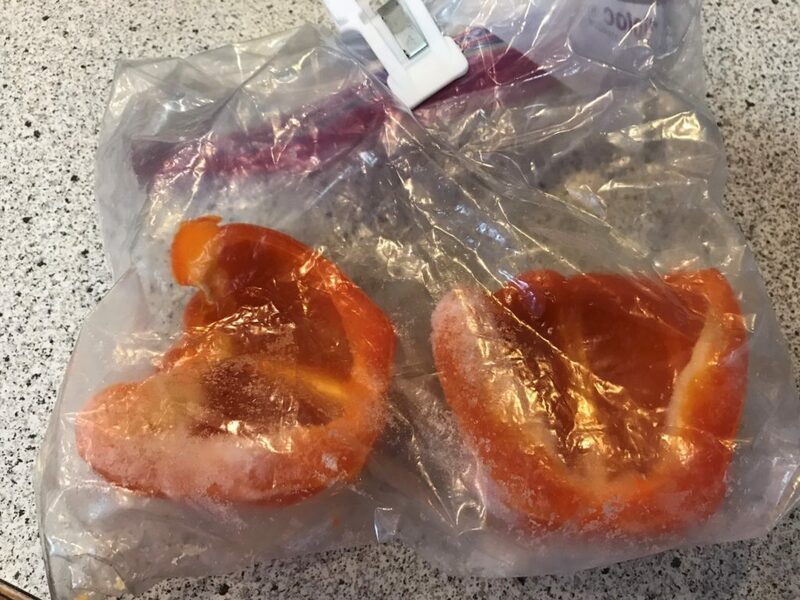 Clean the pepper, de-seed, cut in half and freeze in a Ziplock for future recipes. Sometimes I even cut the pepper into small pieces. Magic Erasers are the best. This is how I use them in my house. I love them. 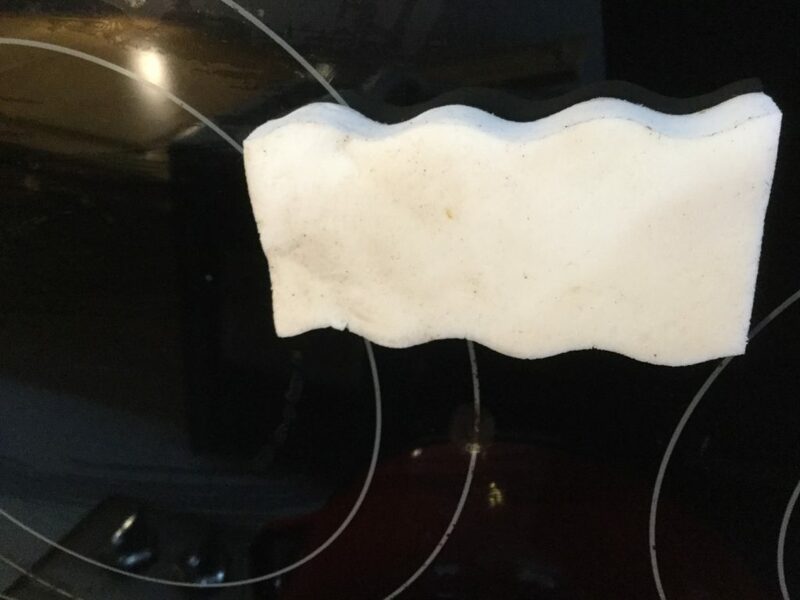 Clean smooth top stove with a magic eraser. Use a little elbow grease. Clean the white part of your tennis shoes. Shoes will look new again just by using magic erasers. My daughter loves doing this. Use Magic Erasers in the shower and tub. Clean your shower as normal and then use the magic eraser and more scum comes off. If I am in a hurry to clean, I pull this out and clean my kitchen sink with it. These magic erasers work well on sticky grease near stoves and on your kitchen cabinets. I was at camp helping my sister cook for a few days and I used this on the back shelf of the stove and the grease that was stuck came off like a pencil eraser. Everyone thought it was brand new. Vinegar is a natural product I always have on hand. Use white vinegar in the rinse cycle. This works well on microfiber and towels. The towels do not smell like vinegar and are nice and fluffy. Use diluted vinegar to wash windows. 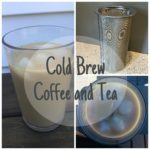 2 TBSP to 1 gallon water. Vinegar also works well in clogged bathtubs with some very hot water. 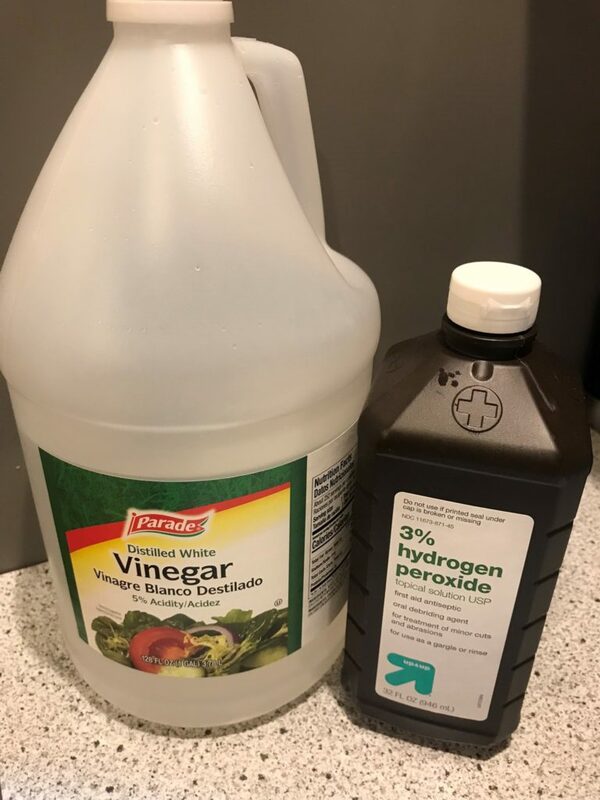 Hydrogen peroxide is another favorite. Use this in sink cleaning and on blood stains in fabric. I pour some peroxide around faucets and watch it clean in the areas that are hard to clean. To get blood out of fabric, pour directly on fabric and watch it bubble, then rinse with water. Lemons can also work in cleaning. 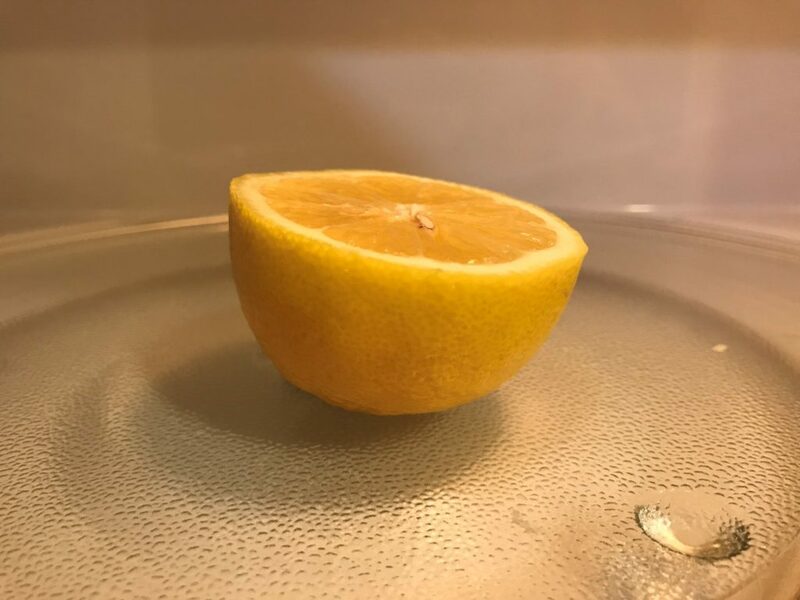 Cut a lemon in half and place in the microwave for 45 seconds and the food stuck to the microwave will wipe off. Pull a lemon out of the freezer if you don’t have a fresh one. 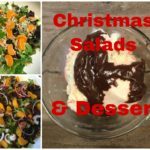 I hope you can make many of these as your normal when cleaning or cooking. 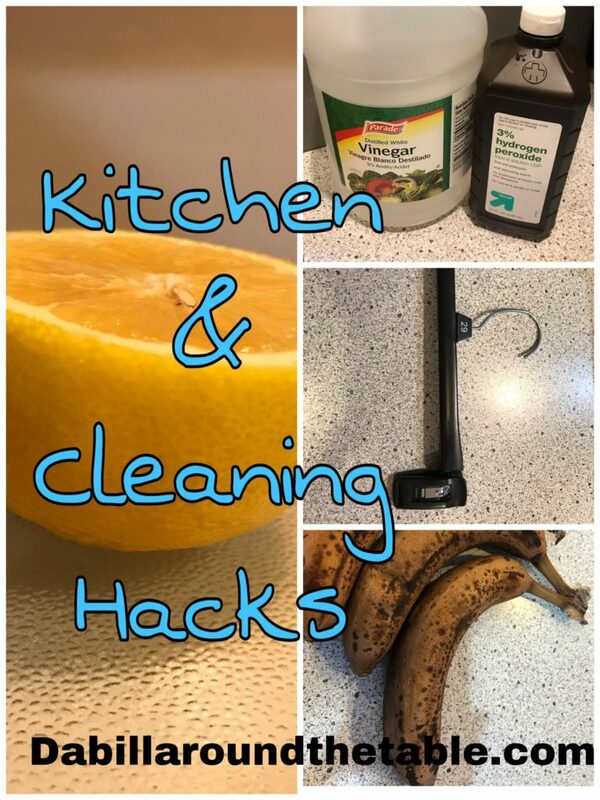 What are some of your favorite hacks for cleaning or household?